I have always enjoyed running. Even as a kid, I always wanted to be the fastest. Growing up and playing all kinds of sports, my first true love was basketball. I became obsessed with the idea of playing in the WNBA and being an Olympic basketball player. Running soon became an outlet and training partner for that dream. Another sport I grew up competing in was track and field. It was not until my senior year of high school when I gave a season of cross country a try. That summer, leading into my senior year of high school, is one I will never forget - I had found my true passion, distance running. The grit, the grind, the places to explore, the non-stop excitement of racing, the exhaustion and the accomplishment you feel after emptying the tank. I had found that "something" I needed in my sport. I fell in love with running after that cross country season. I knew I was meant to be a runner. My fiancé and coach, Brandon Birdsong, and I are living full time out of our Sprinter Van. 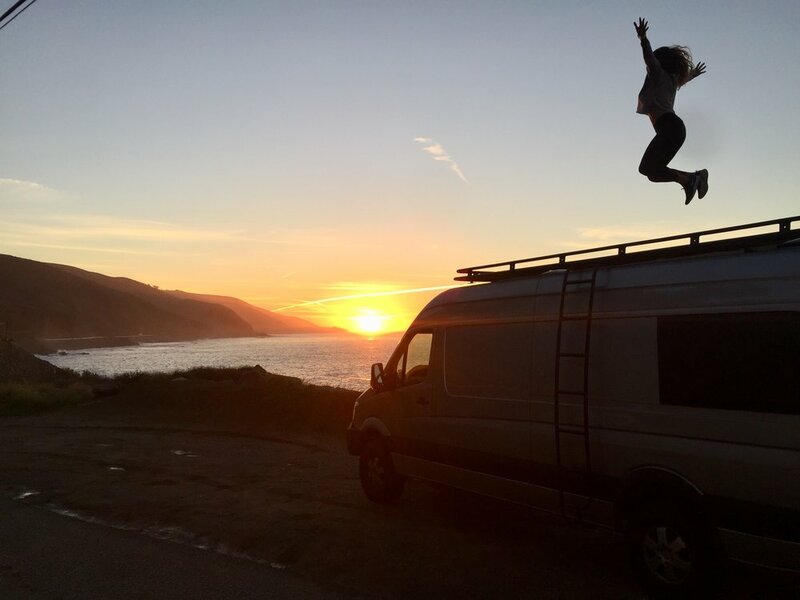 Yes, you read right, we are living #vanlife. We decided that we wanted to live a simple lifestyle and train in the most conducive locations for running. We are also very nomadic, so this fills our needs to explore and adventure! May that be in the mountains, near the ocean or in the heart of a big city, we can train anywhere and have an experience of a lifetime doing so. What's nice about running professionally is that you can always find a race when you're fit and ready. You do not have to stick to a schedule. The only schedule you have to stick to is logging in quality mileage and workouts over a period of time. Then, when you are ready, you race! I am at this point in my running where I am training a lot and getting quality mileage and workouts. This training is building up to me racing: 1) A fast Half-Marathon (Under the time of, 1:13:00), and, 2) A fast 10K (33:00). Running these times are big goals and will be a great foundation leading up to the Marathon Olympic Trials come February 2020.